When they first appeared, the ways in which cryptocurrencies like Bitcoin could be used were fairly limited. In the eyes of many, they were unlikely to come into mainstream use, while the most negative observers decreed that they were a fad that would soon disappear. What has been fascinating to observe, however, has not just been the rapid (albeit volatile) growth in the value of bitcoins, but also the way in which existing industries have adapted in order to accommodate cryptocurrencies. One of the first of these was the online gambling sector, which has been amongst the most enthusiastic embracers of Bitcoin. In many ways, the use of cryptocurrencies in online gambling has been a logical development. Because they are not under the control of governments and banks in the way that fiat currencies are, cryptos provide anonymity, while the Provably Fair concept that comes with the use of blockchain technology appeals to players, as they can verify for themselves that slots and other casino games played with Bitcoin are being operated fairly. As a consequence, there is a rapidly growing number of online casinos accepting Bitcoin. In the first stage, most of these casinos accepted cryptos alongside other payment methods, but now there are more and more specialised Bitcoin-only casinos available for players to choose. 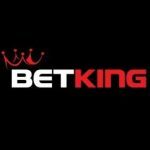 The popularity of these new Bitcoin online casinos has led a number of sites to follow the trend of UK gambling sites such as SkyBet, Bet365 and 888, allowing customers to gamble on casino games and bet on sports via the same account. With this expansion of the Bitcoin online gambling sector, the question for punters and players is are you better off playing at a stand-alone casino site and betting with a sports book, or having an account at a site that offers both sports betting and casino games? Generally speaking, when you play at a specialist casino site, there is a bigger range of games on offer, particularly slots. It also tends to be the case that there are games by a number of different developers to choose from, as opposed to a single supplier, which is what you’ll often find at combined sports betting/casino sites. As the big producers, like NetEnt, Microgaming and Playtech move towards adapting their slots so that Bitcoin can be used as the in-game currency, the choice and variety on offer at stand-alone Bitcoin casinos will likely increase further. The same applies to mobile casinos. With stand-alone casino apps, you will tend to get more variety, as well games by several different developers, than if you play casino games via a mobile sports betting app. However, it is the case that if you play at a stand-alone Bitcoin casino, you then need to maintain a separate account for your sports betting. This can be both inconvenient and time consuming, especially if you’re having to switch constantly between sites to monitor your sports bets, and you might not always be quick enough to take advantage of features like Cash Out or Partial Cash Out, where you can cut your losses if a bet looks like it is not going to go your way. On the other hand, if you decide to opt for a sports betting site that also has casino games, you have the convenience of only having to manage one account. This is especially important when you are using Bitcoin, as it can be extremely volatile and so the value of the bitcoins in your account can change quite dramatically. Therefore, unless you’re playing at a site where the in-game currency is Bitcoin, the amount of spins you get or bets you can make can drop (or of course, rise) quite dramatically. This can be hard enough to stay on top of when you’re only managing one account, but is even more tricky when you have to keep your eye on multiple ones at the same time. However, using a combined casino/sportsbook site can alleviate the problem and make it easier for you to keep track of your bankroll. Ultimately, it may come down to how much time you spend playing or punting, and how much money you like to invest into your accounts, as to whether a multi-vertical Bitcoin gaming site is the right move, or whether you are better off maintaining separate accounts. There is still a great deal of room for growth and development in the sector, and as Bitcoin becomes more established the picture as to which is the best course of action will no doubt become clearer. What is nevertheless very apparent is that cryptocurrencies are going to play an increasingly important role in all forms of online gambling, and so it will pay to be onboard soon if you are not already.